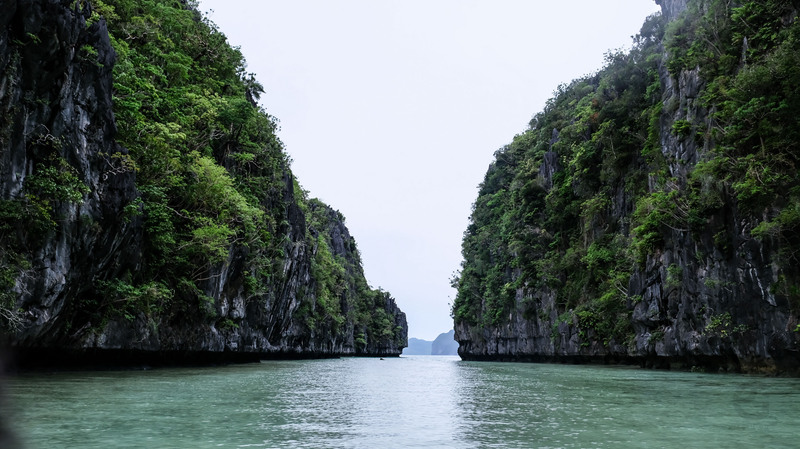 One of the things that made our El Nido vacation fun and memorable is being able to explore some of the best islands of Northern Palawan. All this was possible because of Skipper Charters. 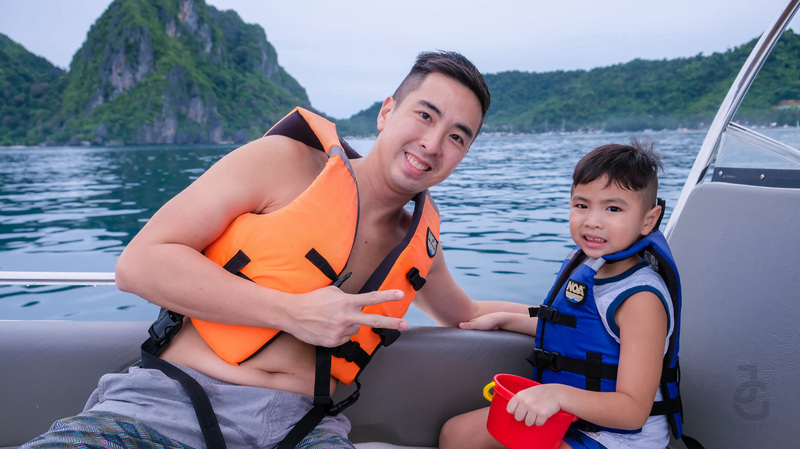 They’re very known for being one to of the best boating service in El Nido. What’s good is that if you stay at Frangipani Hotel, you can easily avail of their service because they dock their boats at the beach front! 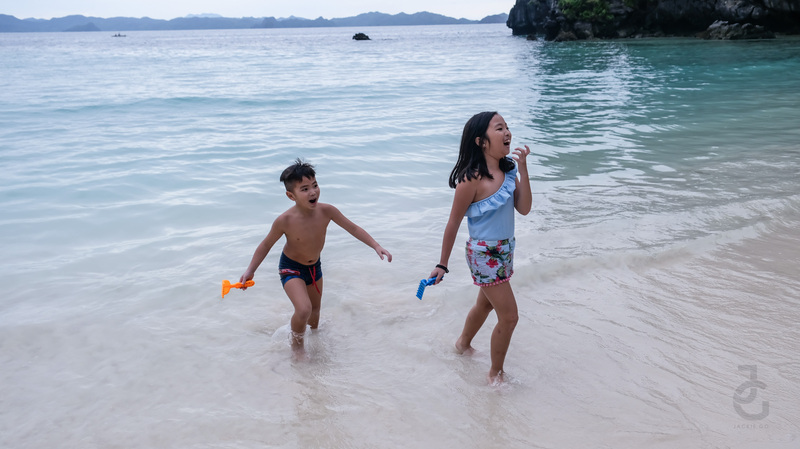 Since we had to go back to Manila on our supposed first day in El Nido, we had to maximise the remaining days of our stay. 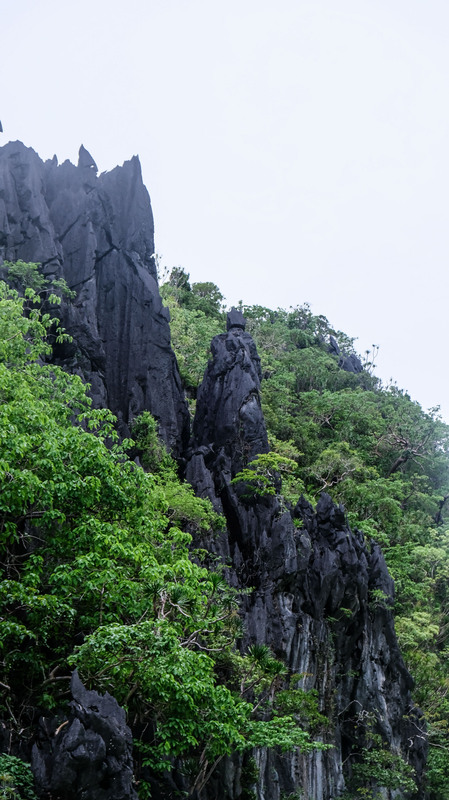 The moment we arrived we put our luggage in our room, changed our clothes and off we went exploring El Nido. The weather was gloomy that afternoon but that didn’t stop us from skipping away. 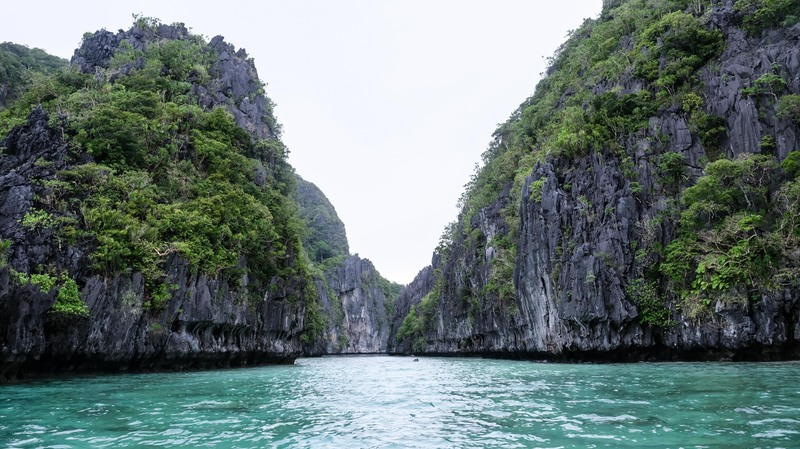 One of the major highlights of a trip to El Nido is going on an island hopping tour. 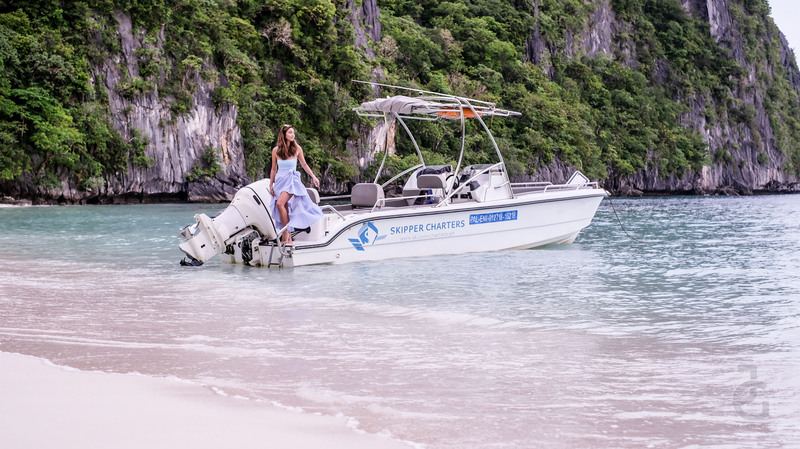 Skipper Charter tours are typically categorized into A, B, C, and D. Each tour may include 4-5 points of interest, which may be a cluster of islands, beaches, or lagoons grouped together because of their proximity to each other. 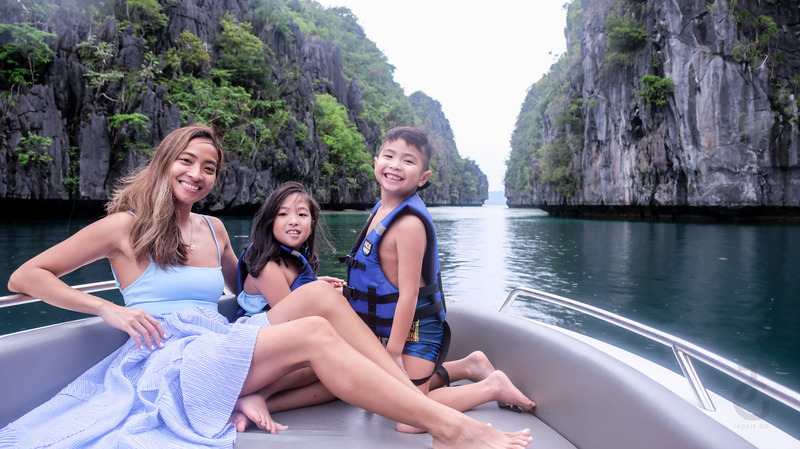 My kids were super excited because this was their first time to go island hoping and to ride a speedboat all to ourselves. 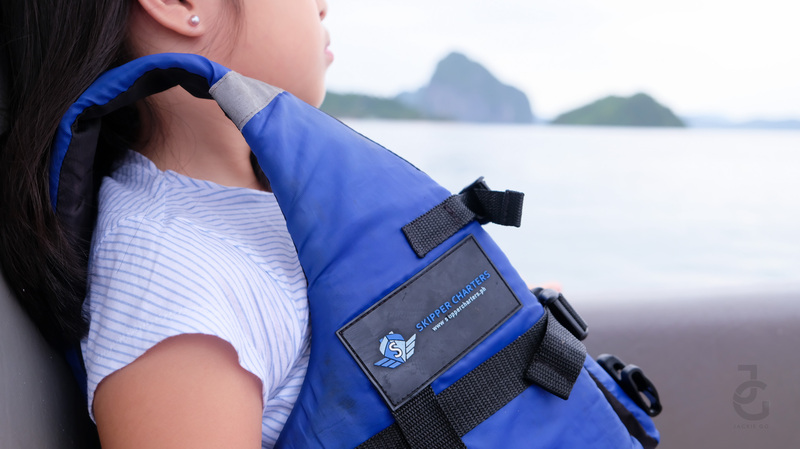 Skipper Charters offers Open Tours (placed together with other guests, minimum of 6 pax) and Private Tours (maximum of 6 pax), letting you explore the islands of El Nido-Linapacan- Coron, islands in Northern Palawan. The lookalikes were camera ready! My little lady wanted to be in front and center (of the boat at least heehee). So was my little boy. The boat was speeding yet both my kids were having so much fun. They even said they feel like a superhero, skipping on the water almost like flying. Our first stop was the big and small lagoon. We went out around 4 in the afternoon. There was no other tourists aside from us. The kayaks were empty and the water, still. I would’ve wanted to go kayaking (P.S. don’t forget to bring cash. We left our bags in the our room and totally forgot to get our wallets. Hahahay!) 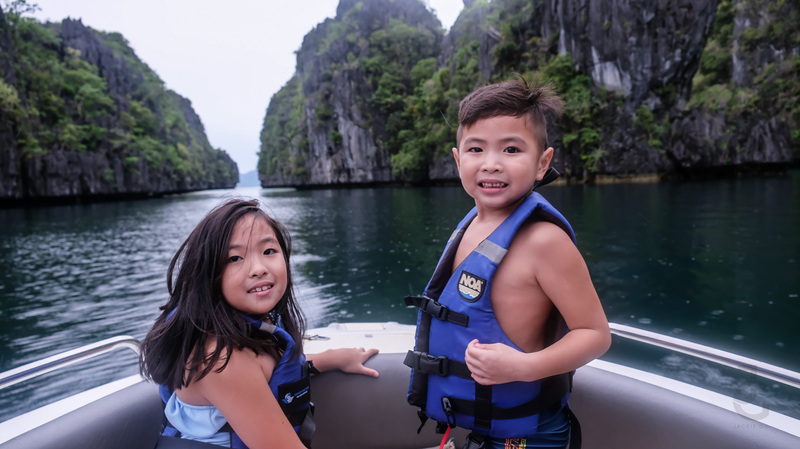 but the kids didn’t want to so we just admired the lovely lagoons from the boat. 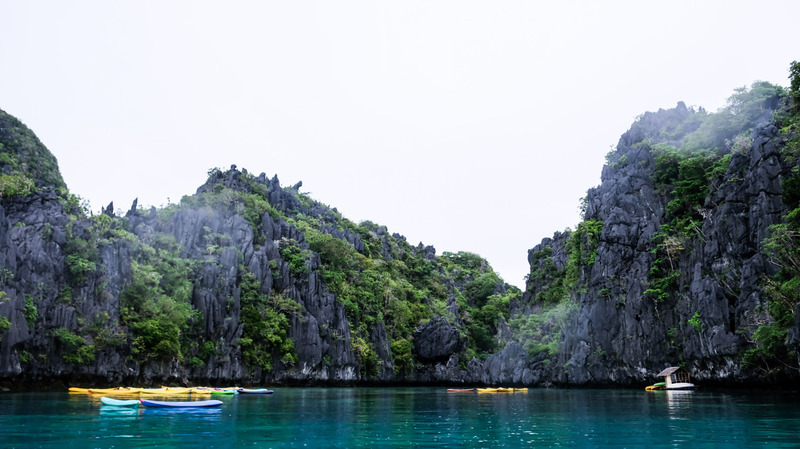 According to our boatmen, the small and big lagoon is usually flanked by tourists in the morning so our time was the perfect time to go. 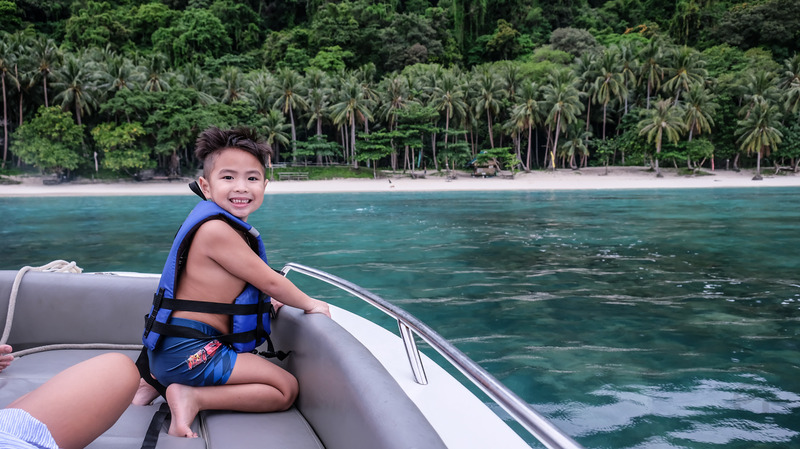 Since it’s almost low tide we only have one more stop that we can visit and our boatmen suggested we see Papaya Beach. Going there we (actually our boatmen hahaha) spotted Batman from up top. Can you see him with his back facing us? 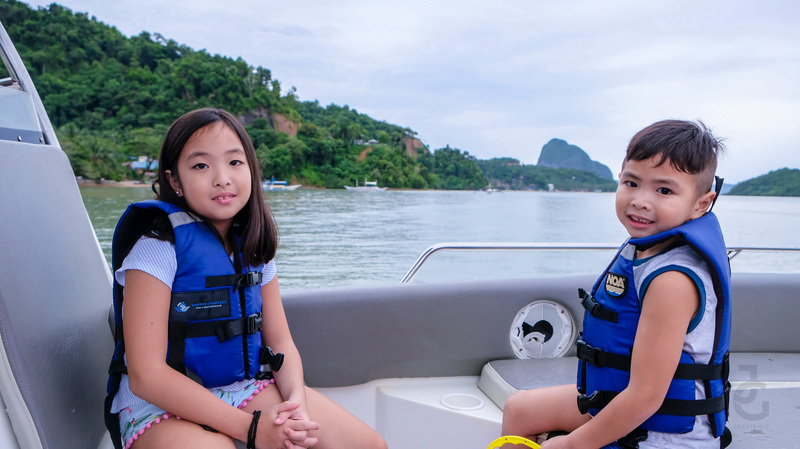 These two wanted to see the water and marvel on the beauty around them so they called dibs sitting in front. 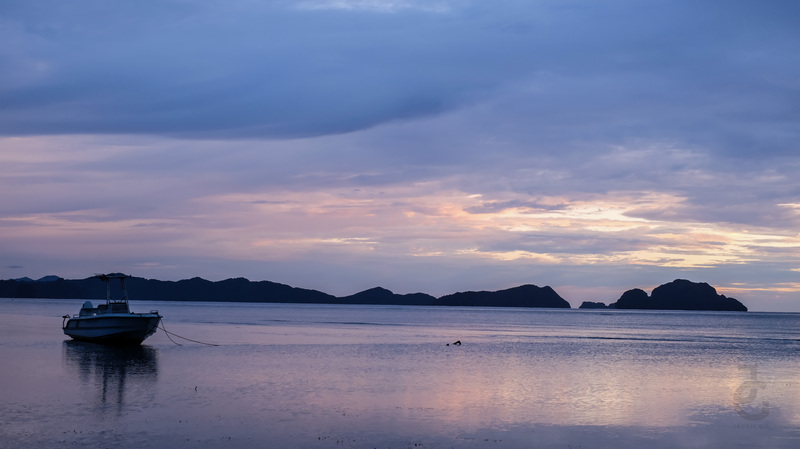 Another lovely shot of El Nido’s beauty. So I had to ask my kids to move at the back so Mr. JG can get this shot. Hahaha! I was demoted at the back few seconds after this was taken. Doing the private tour is a good idea especially if you have kids or senior citizens with you. You can go on your own pace and have the boat all to yourselves. Like a scene from a dream. I love the beach so much that sometimes I dream about having our own private little piece of paradise. 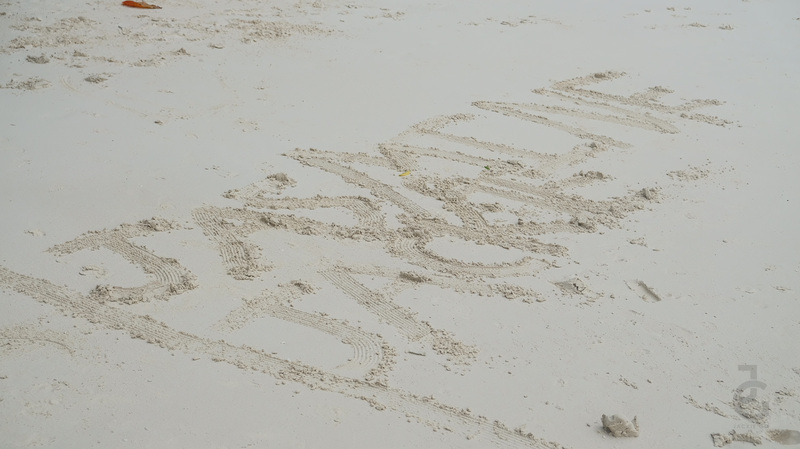 And seeing Papaya Beach made me want a beach of our own. It gave me butterflies in my tummy, it’s so beautiful. I mean how can you not fall in love with this? 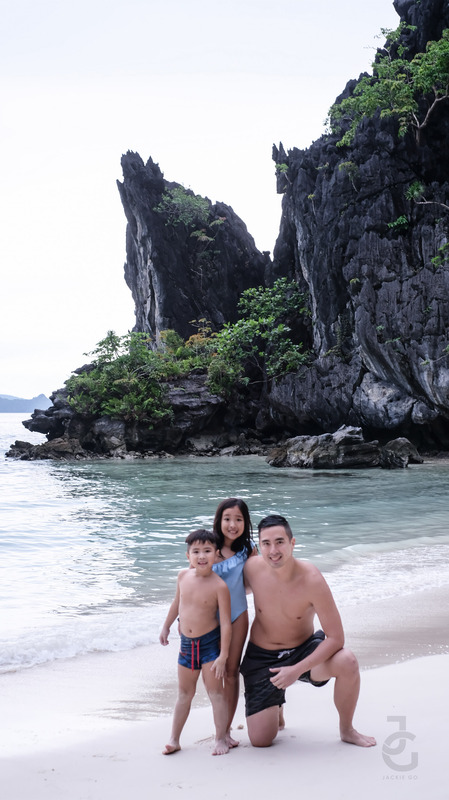 We had Papaya Beach all to ourselves. Literally just one man guarding the beach, selling coconuts-I really should’ve brought my wallet. Heehee. This cutie fury guy welcomed us with wagging tail. Our newfound fury friend wanted to be in the photos too! We swam, played in the sand and just took it all in. So obvious how much fun they had! Quick tip: bring insect repellant! It’s another thing we forgot at the hotel. We can get used to this island life. 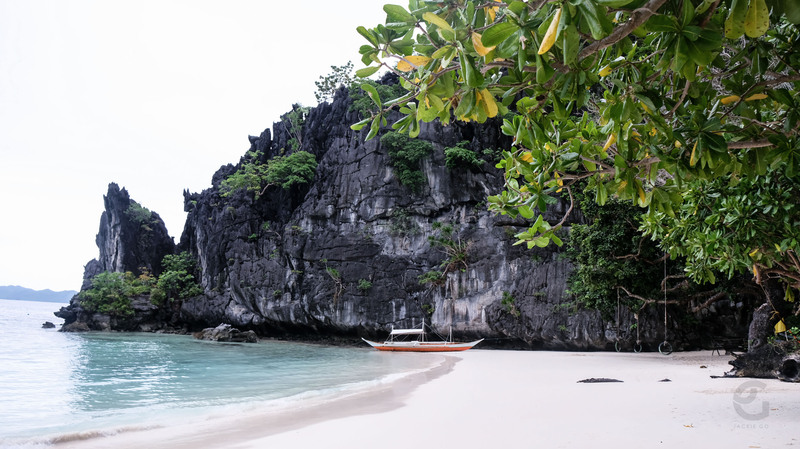 Not doubting that this little paradise is found somewhere in El Nido. 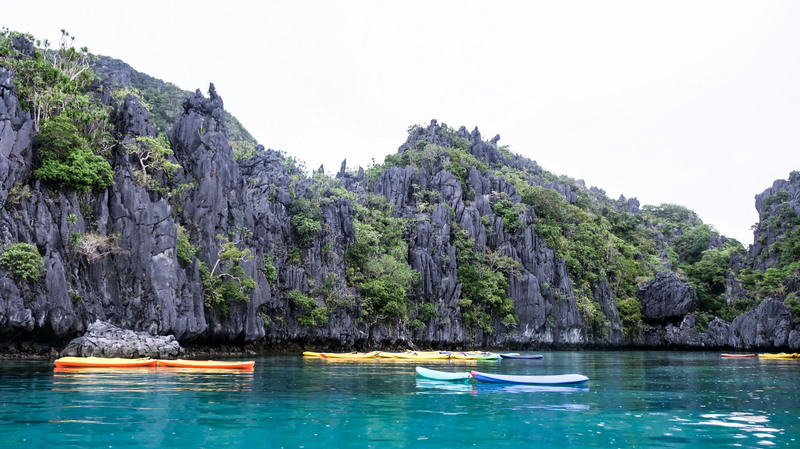 After all, the Philippines has so many clear blue waters, powdery soft sand islands right? It’s definitely a dream to have seen this place. I think I wanna retire on an island now. Haha! 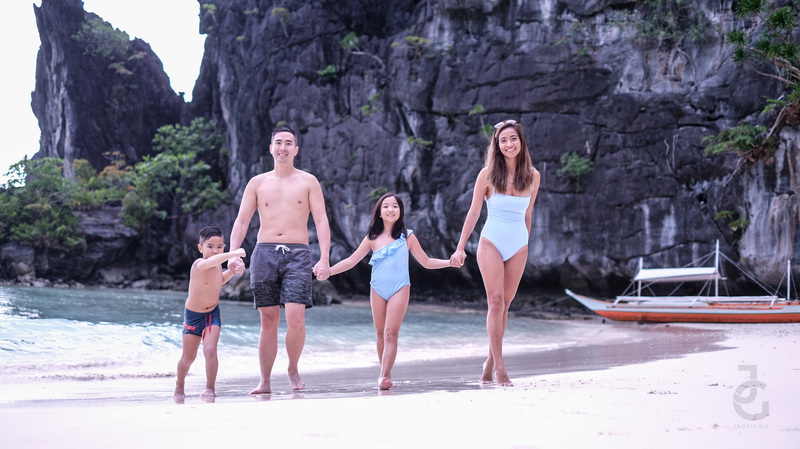 Our El Nido vacation was really one for the books. I hope we can come back soon and hopefully explore the other islands. 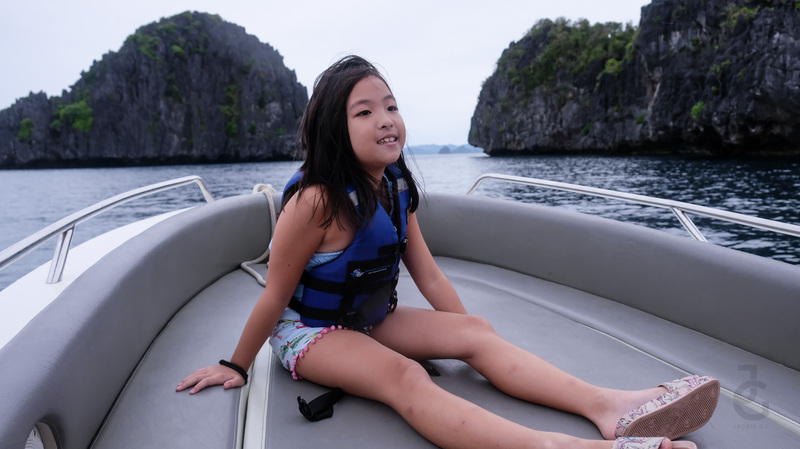 Thank you Skipper Charters for letting us see this wonderful side of El Nido.